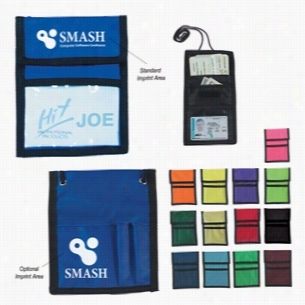 Custom Neck Wallet Badge Holder With Multi Color Choices. AlternativeÂ® moves through the world in a different way. Creating products people want to use every day; Alternative represents quality materials, durable construction and design clarity. 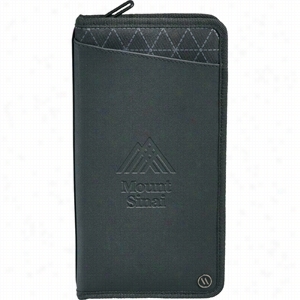 Keep all your important documents in one place, with this all-in-one, every-day use travel Wallet. Super thin and sleek, slides easily into your pocket. Fits both American and Canadian sized passports and when not being used for a passport can fit a smartphone and/or iPhone that is comparable in size. Features an ID holder, quick access passport slot, two credit card slots that can fit over seven standard cards each, and one large slot for boarding passes, cash, etc. Genuine leather with chambray lining. Alternative hardware and branding. Material: Genuine Leather. Manufactured By Leeds. Cross Travel Wallet with Pen. 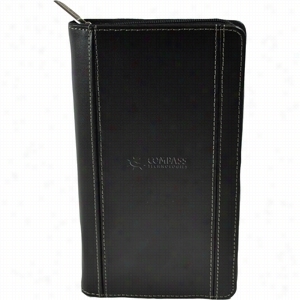 Cross Passport Wallet with Pen. 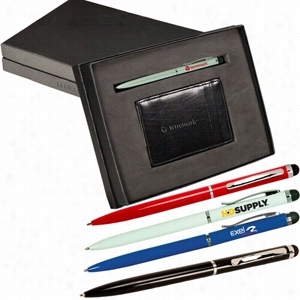 Magic Wallet & Stylus Pen Gift Set. 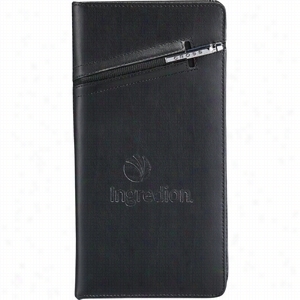 Includes the Astor Magic Wallet and the Stylus/Ballpoint Pen for Touchscreen Mobile Devices. Cowhide leather "magic" wallet. 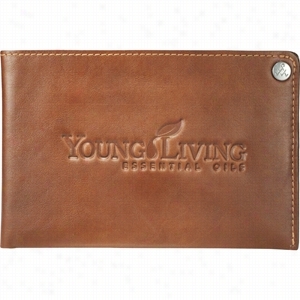 Simply place your bills in the wallet, open, and they're strapped securely away. Twist-action copper pen with lacquer finish and silicone rubber stylus for use with an iPadÂ® or any other touchscreen device. 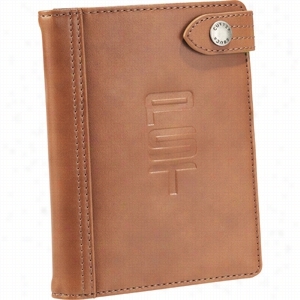 elleven Traverse RFID Travel Wallet. Streamline your business travelling with the ellevenâ„¢ Traverse collection. RFID Technology encases your belongings to protect against identify theft. 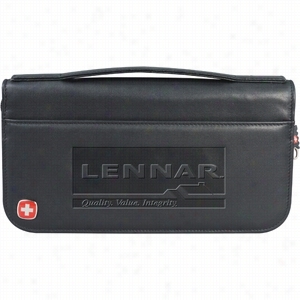 Fully featured travel wallet that has exterior and interior slotted pockets for your boarding pass, passport, and all other travel documents. 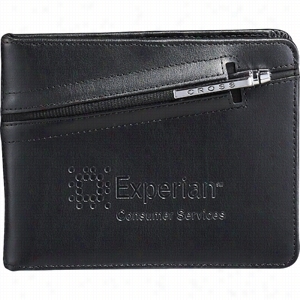 Includes a privacy mesh ID holder, elastic Pen holder, and additional slots for credit cards. 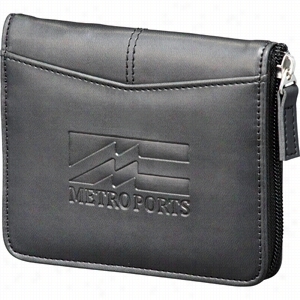 Features multiple elastic slots to hold business cards. Perfect for international and domestic travel. Material: Vinyl. Manufactured By Leeds. Cutter & Buck Legacy Passport Wallet.